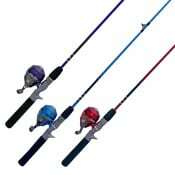 Include 20 of the Colorful Zebco 202 Slingshot Rod Reel Combos. 25 Tackle kits with assorted hooks, bobbers, etc. 5 Genisis (or similar) Open face Spinning Combo’s. Perfect for the Scout Pack or Troop! 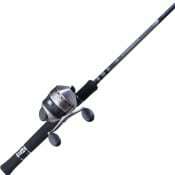 Eight of the ultra-durable Zebco 33 rod/reel combo’s delivered to your designated address for $115. Please Enter your BSA Troop or Pack # if you like in the checkout comments. Perfect for the growing Cub Scouts! 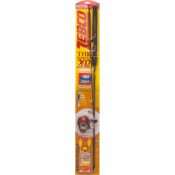 “The Cub Scout Package consists of a quantity of 6 of the zebco 101 Crappie Rods. “Prices in these states CA, OK, UT, WA, MI may be slightly higher due to state tax obligations.” Call 330-993-0014 for correct pricing.